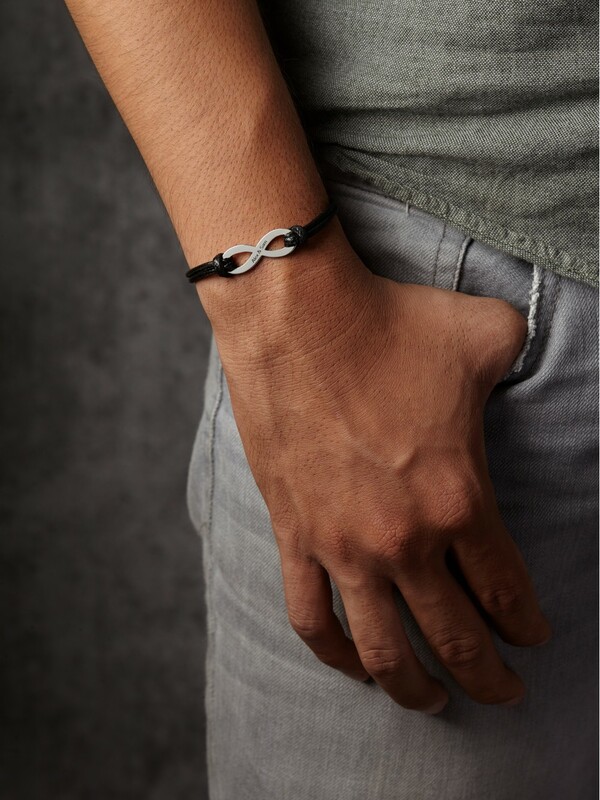 Our men's leather infinity bracelet is a classic wear for the rugged man. 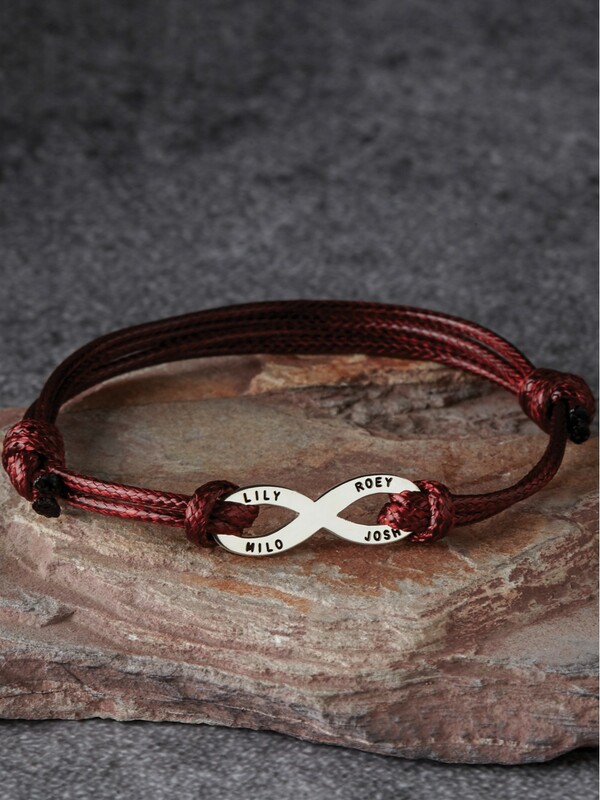 Choose to engrave our infinity bracelet for him with anything, from kids' names or birthdays to coordinates of a special place. 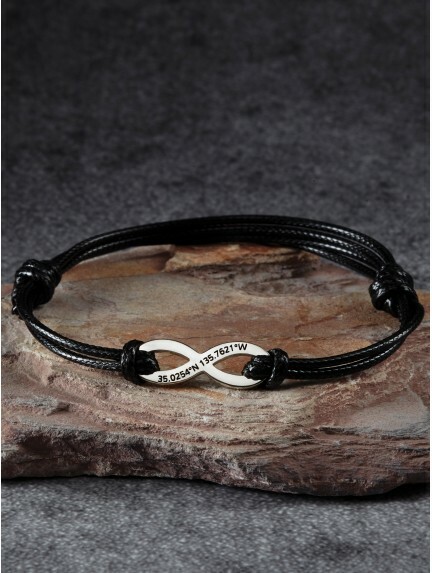 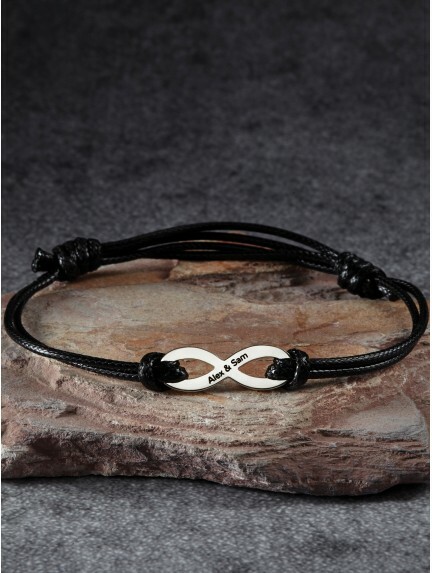 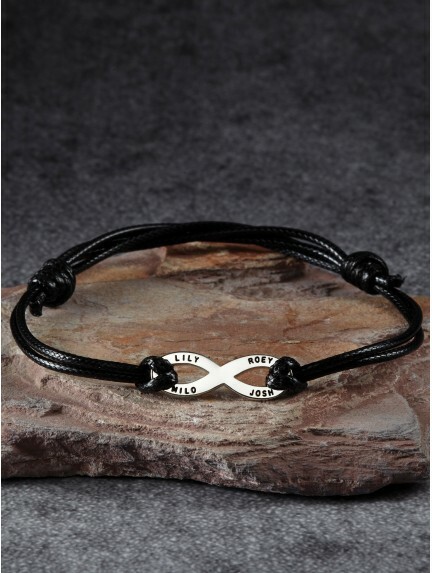 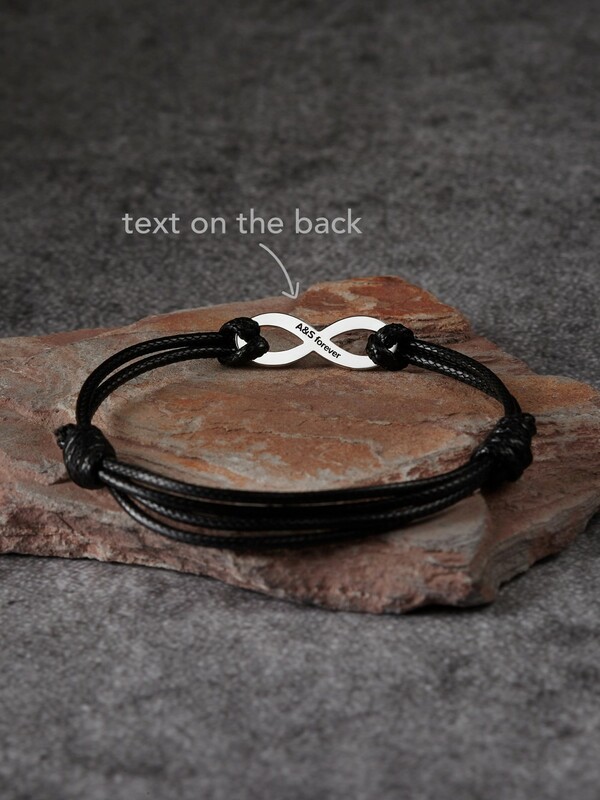 Made using quality materials such as genuine leather and sterling silver, our personalized infinity bracelets for guys are meaningful gift for men that signifies eternity and forever love or commitment.